Thanks again to Lilly Pavlak for more photos of the great Mike Auldridge, who died yesterday (29 Dec. 2012). The photo above, taken at a show by Auldridge, Bennett, and Gaudreau in Brugg, Switzerland, shows (l-r) Jimmy Gaudreau, Mike, Lilly, Kent Miller (sometime president of the Swiss Bluegrass Music Association), his wife Rosemarie Miller (who took care of touring musicians), Markus Fritsche (of the Swiss band Country Ramblers, who played bass for the trio on the tour), and Richard Bennett. 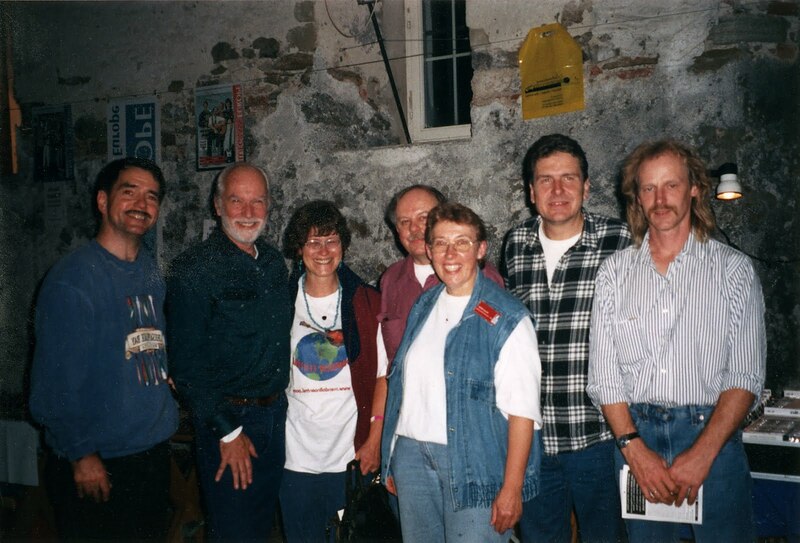 In Slovakia at the 2000 Trnava Dobrofest (l-r): Markus Fritsche, Richard Bennett, Mike, Ann Dopyera-West, Jimmy Gaudreau, Al Brinkerhoff. At Brugg, Switzerland (l-r): Jimmy Gaudreau, Richard Bennett, Markus Fritsche, Mike, Jens Kruger. 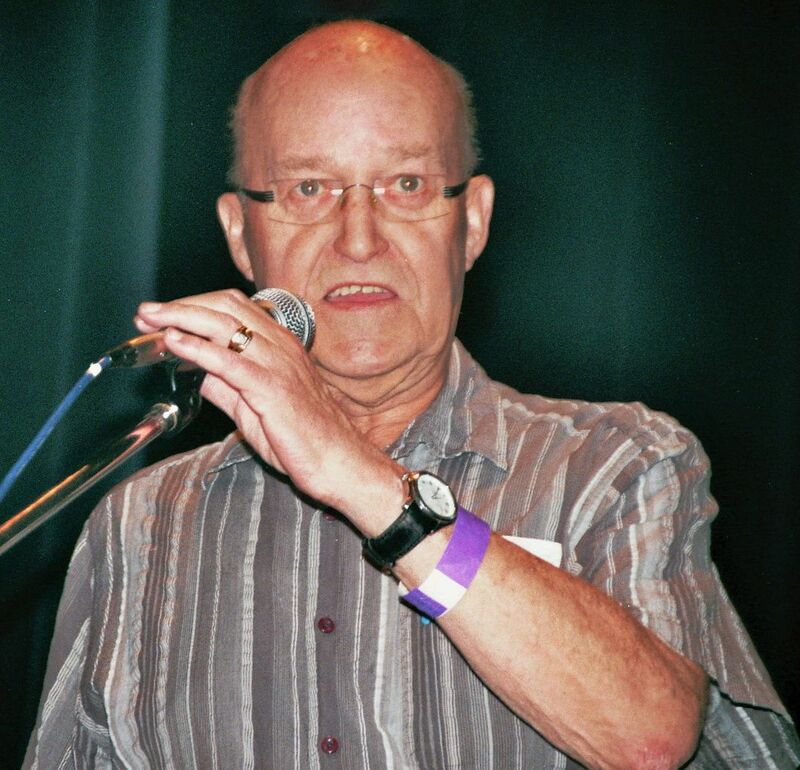 In early October this year the EBB carried news of a tribute organised to honour the innovative dobro maestro Mike Auldridge. The December 2012 issue of Bluegrass Unlimited magazine also included a major article by Robert Haydon on his life and on his performing career, which extended over more than four decades. Yesterday Bluegrass Today broke the sad news that Mike Auldridge had died that morning after a period of treatment for cancer. Today would have been his seventy-fourth birthday. A substantial commemorative feature by David Morris, including the words of many musicians who knew Mike, has since appeared on Bluegrass Today here. Further tributes can be expected in the next few days. 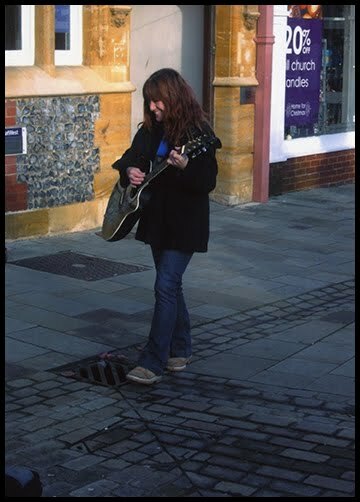 Thanks to Lilly Pavlak for these photos taken by her in recent years. The photo above shows Mike (centre) receiving a presentation at the Trnava Dobrofest, Slovakia, in 2000. Those below show more scenes from Trnava, together with shots of Mike in Chesapeake and Legends of the Potomac. Hope you all had a wonderful Christmas and that you will have a equally fabulous New Year celebration and indeed, I hope 2013 will be good for you all. I'm very pleased and excited to say that the BBC took a great deal of interest in my Christmas songs which was a pleasant surprise so it provides an exciting way forward for me next year; and Tom Robinson of BBC Radio 6 Introducing even posted a blog with a personal mention to me over 'A yodelling Christmas song' - it's an amusing comment but very complimentary. Here's the link if you feel like having a look - it's in the fourth paragraph within the blog if you scroll down a bit. The whole show is available for a free download for the next few days, and it is also available on Soundcloud too . I know Christmas is over but if you did want to purchase my Christmas songs or any others then they are available on iTunes and Amazon MP3. 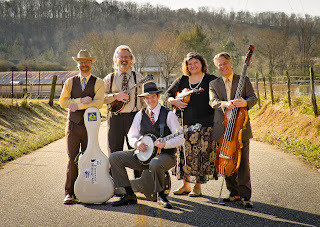 On to the bluegrass scene now and the radio! As you can see these went out over Christmas and I've had some nice feedback about them too so hopefully it has done some good for the festivals. I will be resuming my radio shows from February 2013 but they will be aired only every fortnight instead of weekly. Just to keep things chugging along for now and to keep you all promoted as best as I can. Lynne's newsletters include much additional information, together with links to major bluegrass websites. To receive her newsletters, contact her by e-mail. 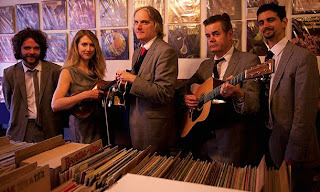 Singer/songwriter Kory Quinn (shown left), born in Illinois (USA) but now a part of the vigorous Portland, OR, Americana scene, is currently touring in Britain and Ireland. Kory Quinn's music, in the Americana traditions of bluegrass, country, outlaw folk, can be heard on MySpace, ReverbNation, and BandCamp, and he is also on Facebook. His tour dates and recent press can also be found on these sites, and he can be contacted by e-mail. and sends this link to a seasonal YouTube video. Thanks to Lilly Pavlak for this greetings card with good wishes for a happy holiday season. Lilly sent several other images with her good wishes attached. The EBB has chosen to publish this one, as it shows Lilly herself, in a very bluegrass setting. The sign, outside the Ryman Auditorium in Nashville, commemorates the 'birth of bluegrass' there in December 1945 with the appearance on stage of Bill Monroe and the 'original bluegrass band' - Lester Flatt, Earl Scruggs, Chubby Wise, and Howard Watts ('Cedric Rainwater'). Richard is a former chairperson of the EBMA board. The Omagh bluegrass festival, founded in 1992, is now (with the cessation of the Athy festival) the senior annual bluegrass event in the island of Ireland. 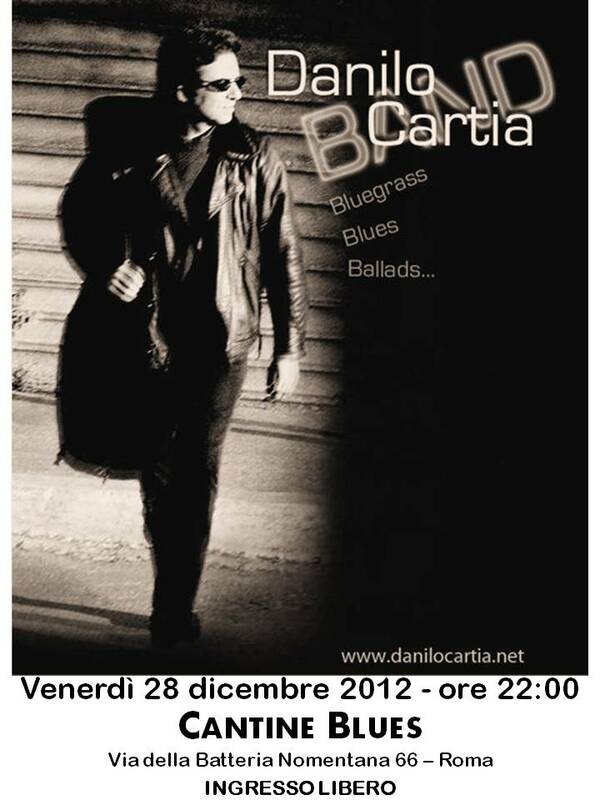 Hello to you bluegrass lovers in Europe! The Coal Porters have had a great year with an NPR session in the USA and a Bob Harris BBC Radio 2 session here... many cool things have fallen our way. 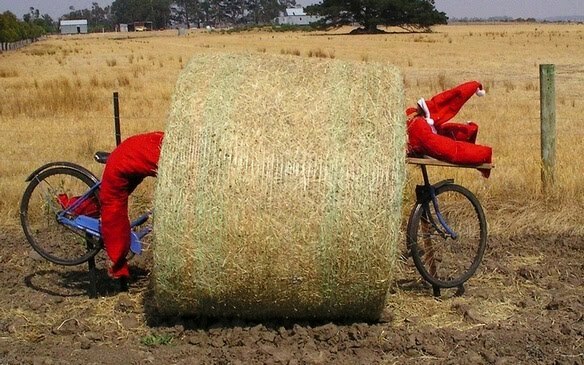 And we've made many new friends in 2012 which is just about the greatest gift anyone could ask for. 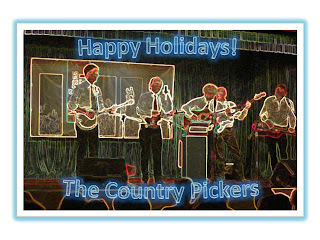 Please click on the link to see our Christmas card to you and yours and to get your free download from us! Sid's message continues on the card, together with a schedule of Coal Porters shows, in the UK and abroad, in the early months of 2013. 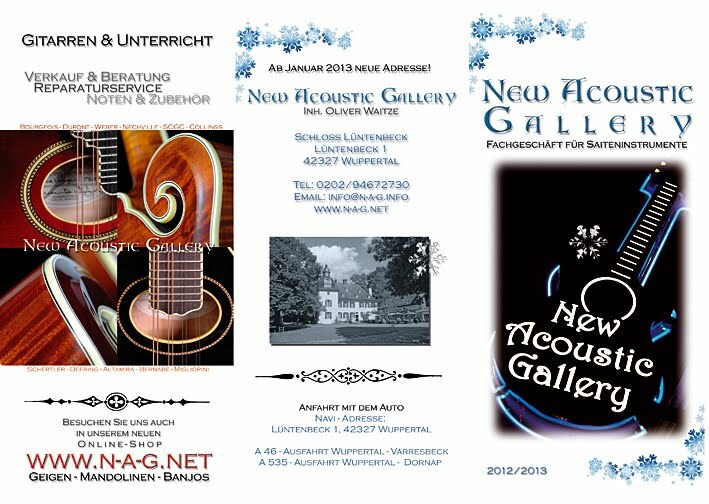 Thanks to Oliver Waitze of the New Acoustic Gallery (NAG) in Germany, for these images of both sides of the NAG's new winter flyer. Oliver also sends a reminder that after today the NAG will be moving from Solingen, its home for the past nine years, to new premises in Wuppertal. 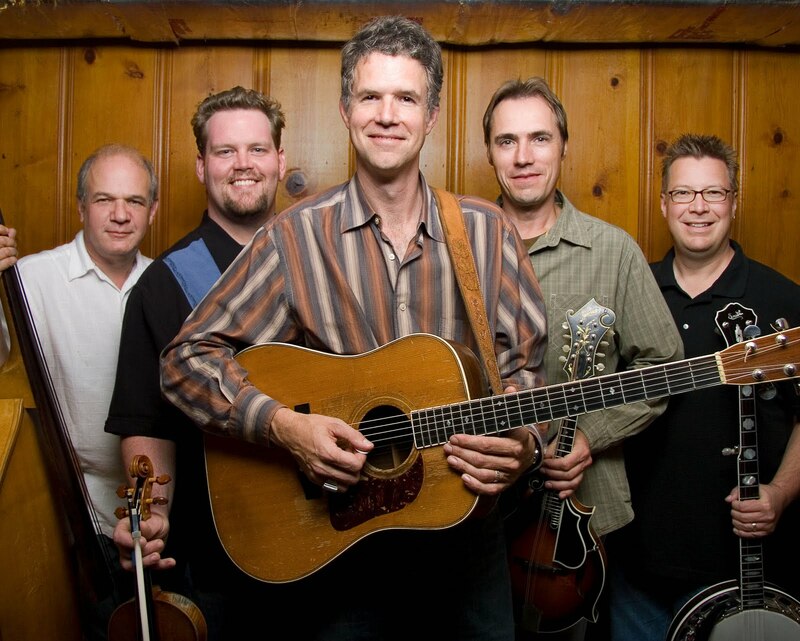 It will of course continue to stock banjos, mandolins, and classical and steel-string guitars by leading makers. 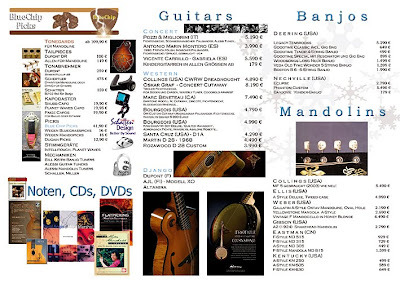 New stock includes instruments by Santa Cruz, Furch, Collings, Bourgeois, Rozawood, Kentucky, and Eastman, and a new 'Celtic banjo' book by Oliver Waitze will be out next month. 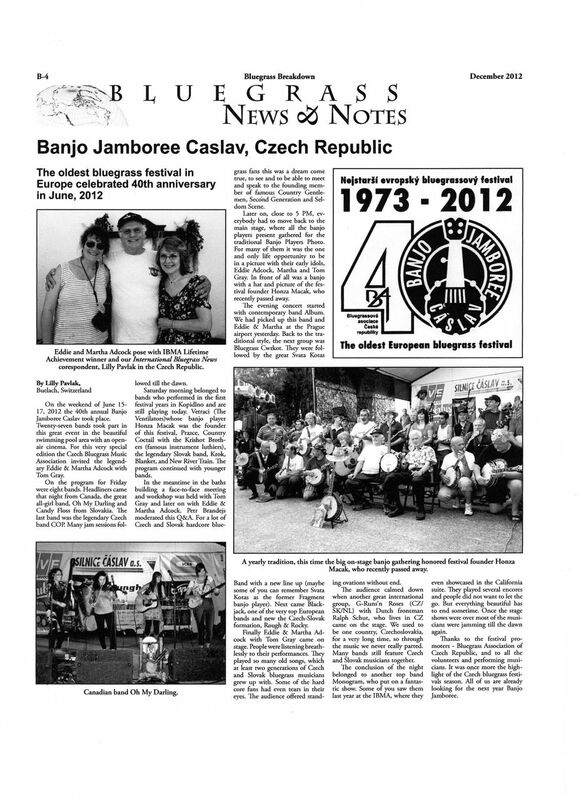 Thanks to Lilly Pavlak for this copy of her article - published in the current issue of Bluegrass Breakdown, the California Bluegrass Association newspaper - about this year's Banjo Jamboree in Čáslav (Czech Republic) on 15-16 June 2012. The Banjo Jamboree, the oldest bluegrass festival in Europe, took place for the fortieth time this year. We had a great time, an amazing line-up, and extremely enthusiastic crowds... I notice a continuing growth in audience and interest of media in the project. 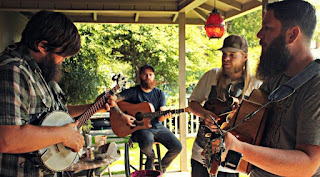 As the 'bluegrass scene' is way too small to keep this concept alive, I am very happy that we do find and build true music-loving audiences that enjoy good live music of highest level without being limited to one style. There was a huge amount of media coverage before and after the tour. The two most important German cultural radio stations (WDR and DRadio Kultur) recorded performances and interviews and will each do broadcasts of sixty to ninety minutes in January. Check the Jamboree! website and Facebook pages, where tour-video and photos will be posted. 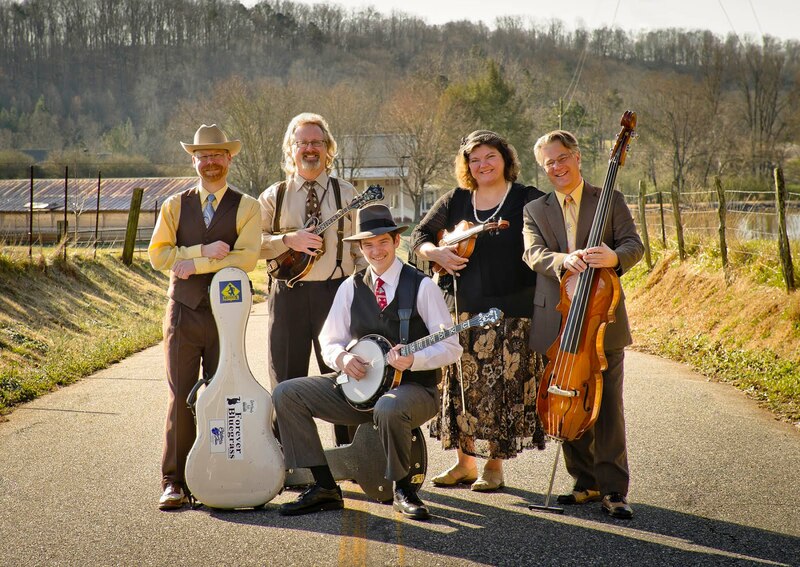 The 5th edition of the Bluegrass Jamboree! - Festival of Bluegrass and Americana Music will be hitting the road a year from now. Meanwhile, Rainer's full report will appear in the EBMA's own quarterly official magazine, Bluegrass Europe, the next issue of which will appear very soon. Thanks to Walter Fuchs, director of the International Bühl Bluegrass Festival, and Wolfgang Mark of the City of Bühl press office, for details of the 11th International Bühl Bluegrass Festival, which will be held on Saturday 4 May 2013. At the first press conference (13 Dec. 2012) for next year's festival, it was announced that four prominent US bands are in the lineup: the Roys, Chris Jones & the Night Drivers, Monroe Crossing, and the Deadly Gentlemen. On this visit to Europe, the Roys will be performing exclusively in Bühl. The Festival programme can be viewed online at the Festival website and also at the city's Festival webpage, together with band photos, ticket prices and booking facilities, press cuttings, a history of the Festival since it began in 2003, a link to the festival flyer image, and more. 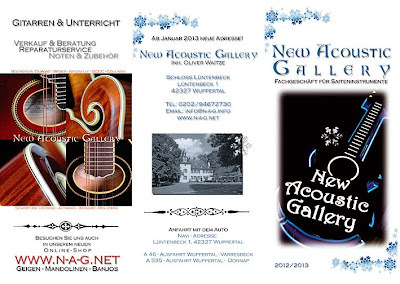 Tickets will go on sale at the Bürgerhaus Neuer Markt on 14 January 2013. 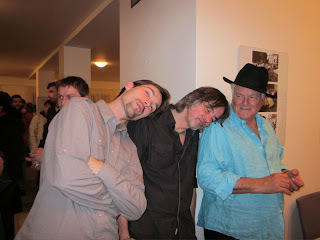 Pictured here are the Roys (right), and below Chris Jones & the Night Drivers, Monroe Crossing, and the Deadly Gentlemen. ... and best wishes! See you in 2013! 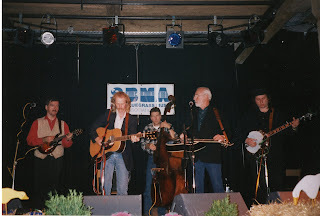 Thanks to Lilly Pavlak for many photos and a report from concerts played by Peter Rowan with Druha Trava at Hranice na Morave and Brno, as part of a tour in the Czech Republic late last month. 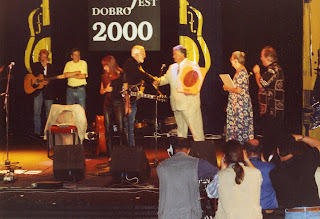 The Hranice concert was recorded for a forthcoming live DVD. 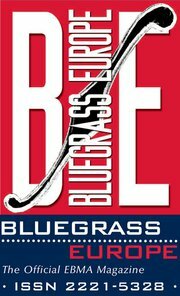 Lilly's report will appear in the next issue of Bluegrass Europe, the official EBMA quarterly magazine. More photos by Lilly can be seen here. 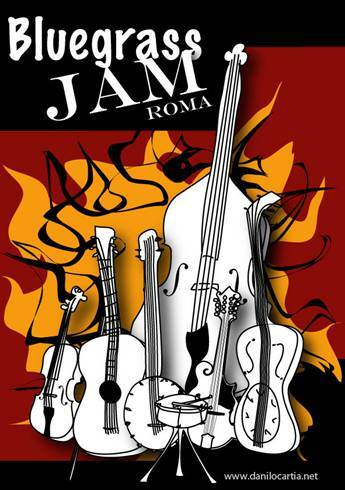 First European Bluegrass Jam Camp is now taking registrations! Thanks so much, Petr and Angelika, for the news, and especially to you both and to Ivana Loukova for helping me arrange my first Jam Camp in Europe, in Prague 22-24 March (weekend after the Bluegrass Summit). I've been excited about this prospect for months, though due to typical delays working from another continent, only days ago did we make an agreement with a suitable hosting hotel. I've attached the camp ad for the next Bluegrass Europe. The cost (€175), is much like my US camps - with students from the Czech Republic, Slovakia, Poland, and Hungary invited to write us for special rates allowing for their currency values. The 3-star Hotel Svornost, three train stops from downtown (with airport shuttle, reasonable room and food prices) will be our home for three days. They will hold a limited number of rooms for a while, so people wanting to come should make contact soon. 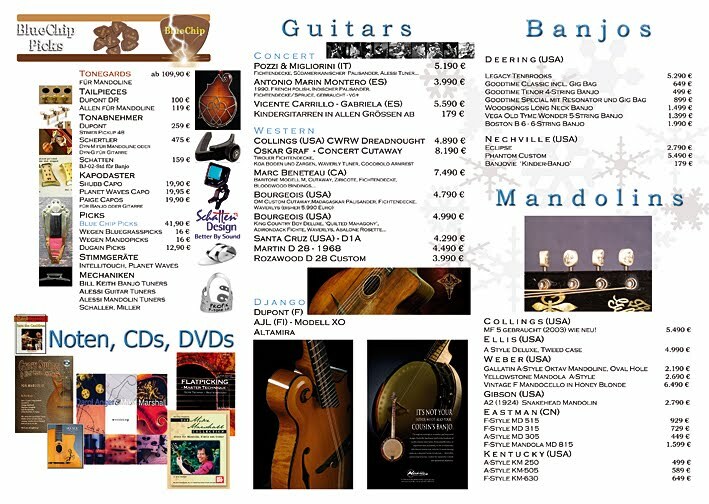 I now call on teachers of bluegrass instruments in different parts of Europe to assist me at the camp! I will train you in the Wernick Method, so you may be certified to teach it in your area, and at festivals. Teachers, please write to me for details! 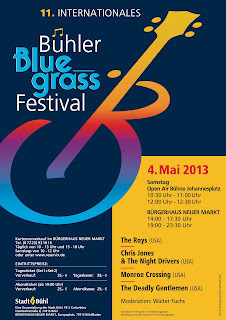 Also, in early April we hope to meet some European bluegrass folks as we travel down the Rhine. If you think you can get to any of the stops, please write. Sorry for all these details. This will be my longest trip ever to Europe, and I hope to do a lot and see a lot of you! Many thanks to all bands and promoters, who provided us with their dates to fill our printed calendar. We are now working on an online version, where everybody can add dates at libet, but it takes some more time to programme it to our needs. So, we'd like to invite you once more to manually and pro-actively send in your dates of upcoming shows! The deadline to send in dates for BE#86 is NOW! Please send in your public gigs and concert dates between 15 January and 31st May 2013! Thanks to all, who used our excel-spreadsheet to send in data for the last issues - it really saves us a lot of time. Please use it again and download here: http://www.ebma.org/uploads/media/BEXX_calendar_dates.xls. Again, we have to insist that we will only accept data sent in this format. We are really short of (wo-)manpower, so we really appreciate your effort and support. It's worth it, as many people refer to our listing, the more interesting it gets in all countries. Make sure YOU ARE IN THERE! IT'S FREE, EVEN IF YOU ARE NOT A MEMBER! Please email back the completed form to editor@ebma.org as soon as possible, no later than 27 December 2012. Rosťa Čapek and Ivana Louková are working hard on the preparations of the Bluegrass Summit (Prague, 15-17 March 2013). Why don't YOU show up? :-) The invitations should be out before Christmas. The same couple managed to organise the Czech concert of Bluegrass Jamboree! on 4 December. Pictures can be seen at the bottom of this page. AND the double concert (because the evening show was sold out in two days!) of Blue Highway in late October (pictures here). 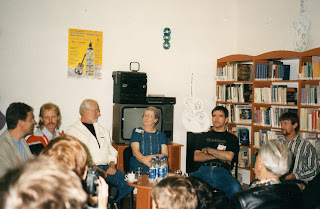 The 17th Workshop of Petr Brandejs and Jindra Hylmar in Malé Svatoňovice (in October) as well as Ralph Schut's workshop Dilna s prasetem (in September) were successful events. 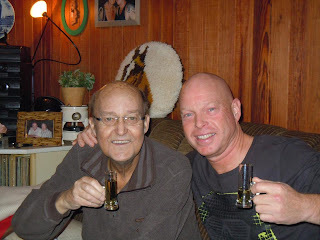 The details of Pete Wernick's Jam Camp in Prague (22-24 March 2013) are being negotiated. The event is financially supported by the EBMA. Petr Brandejs (that's me!) finished the first European Jam Class on five subsequent Sundays in October. Nine students were happy to learn how to jam according to the Wernick Method. A phenomenal multi-instrumentalist, Ondra Kozák wrote Fiddle breaks in Czech country hits. It was released by the company G+W. The trailer can be watched here. Robert Křesťan and Druhá Tráva released another live CD, Live in Telci, and recorded their new DVD featuring Peter Rowan. 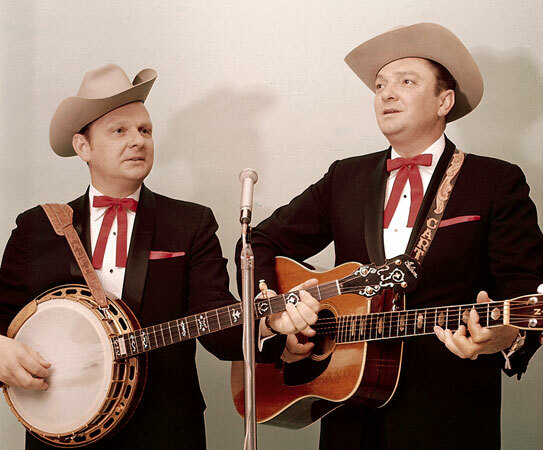 coming soon: Stanley Brothers Biography "Lonesome Melodies"
"Lonesome Melodies: The Lives and Music of The Stanley Brothers" is a long-overdue biography of the legendary first generation bluegrass music pioneers, Carter (1925-1966) and Ralph Stanley (b. 1927). 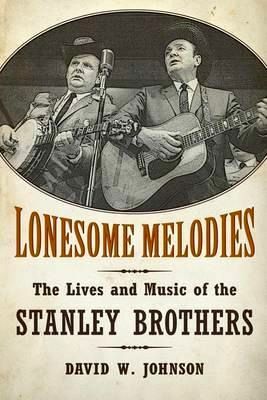 American author David W. Johnson successfully, and more important, accurately documents the Stanley's contributions to the tradition of bluegrass music. Or as Ralph calls it, old-time mountain music. Together from 1946 to 1966, The Stanley Brothers & The Clinch Mountain Boys began their careers performing on local radio and in the schoolhouses of southwestern Virginia. They ultimately expanded their popularity to American universities, country music parks and the concert halls of Europe. On that final tour of Europe, Carter & Ralph recorded a segment for a live 60-minute variety program at the German radio and TV network SWF in Baden-Baden. In January 2009, a 44-minute DVD entitled "Festival of American Folk & Country Music 1966", was released by the German Tropical Music company. It includes two performances by the Stanley's. The final European tour was hard on Carter as he was very ill at the time. Carter Stanley would pass away nine months after that recording session. It is rare in today's world to read a biography of well known artists which does not resort to sensationalism, speculation and sordid details for no apparent reason. David Johnson managed to allow the reader a personal insight into the personal lives of Carter and Ralph without casting unnecessary dispersions upon the subjects. This true story is not always comfortable to read, but it is The Truth. In the end, the reader will find this story to be an educational and refreshing trip into the career and lives of two most important contributors to American music history. University Press of Mississippi is the publisher of this first-ever Stanley Brothers biography. 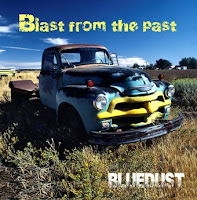 Scheduled release is February 2013. The suggested retail price is $50 USD and will also be available as an E-book. NOTE: EBB will publish a reminder on this blog when the book is officially released. 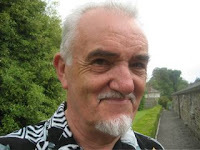 Richard Hawkins, editor of the Bluegrass Ireland Blog (BIB) as well as being a frequent contributor to the European Bluegrass Blog, announces that he will retire from bluegrass blogging as of 15 February 2013. 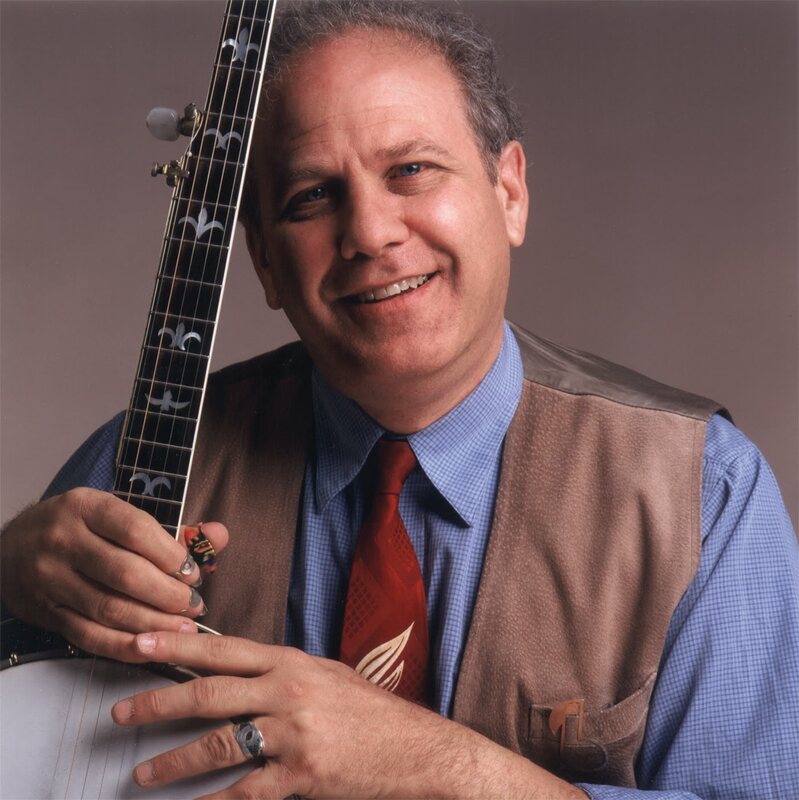 He emphasises that as a result of his retirement, the service that the BIB has provided to people in Ireland involved in bluegrass and old-time music can actually be improved. The statement can be read here. Tim Rogers, leader of the Clew Bay Critters old-time string band in Westport, Co. Mayo, in the west of Ireland, has finally decided to sell his Dave Stacey 'Sodbuster' banjo, for financial reasons only. Details of this custom-made instrument from one of England's top luthiers, together with seven other clear close-up photos and e-mail and telephone links to Tim, are on the Done Deal website here. 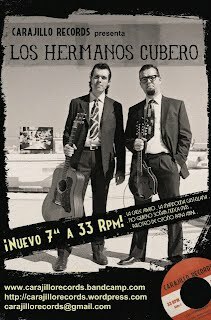 Thanks to Los Hermanos Cubero of Spain for the news that their second record, a 7" vinyl EP released by Carajillo Records which was launched in Barcelona on 8 November, is now completely sold out and there will be no reissue. 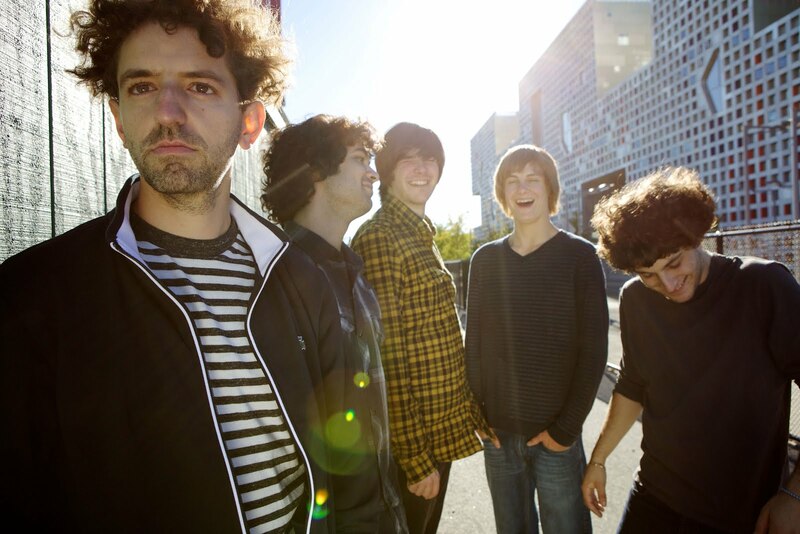 However, the A side of the EP, 'La calle abajo', is featured in a videoclip produced for Primitive Films, which can be seen on Vimeo. - to John Breese, new chairman of the BBMA, who replaces John Wirtz also in his function to report from 'the island'! - to Toni Noetzli, chairman of the Swiss BMA, who is now on this list replacing Kent Miller, welcome!!! 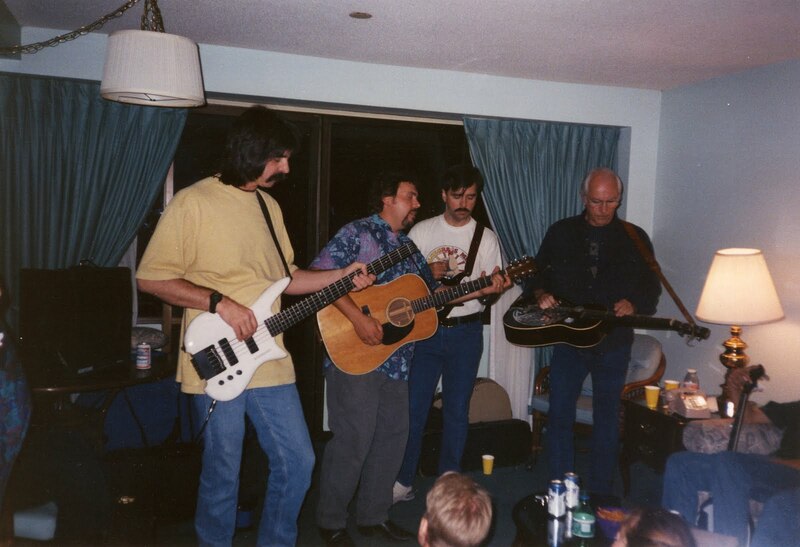 - and to Stergios Loustas, a possible future EBMA member from Greece, who is working on a Bluegrass Music Association in his country and will surely have lots to report, too. We (in particular our most dedicated graphic designer Michael Zumstein) would appreciate if you could include good resolution photos with your report, so if you have really good pictures (with lots of pixels!) that we would be allowed to use in Bluegrass Europe, please send them in by e-mail directly, to avoid too much data traffic. We have DropBox and YouSendIt to use for big files; feel free to contact us for technical instructions. 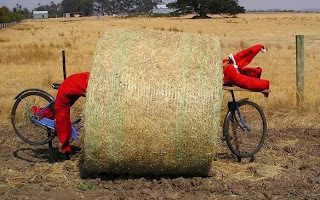 We're heading for Christmas, and on behalf of the editorial team and the EBMA board of directors, I wish you all a peaceful time and a safe landing in 2013! See you there - somewhere! PS: If anybody feels tempted to become a part of our editorial team - please contact me directly! 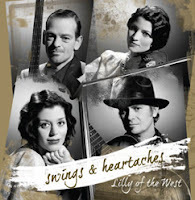 Lilly Drumeva reports from Bulgaria that in addition to releasing the new video clip of the song 'Walkin' after midnight' (as reported on the EBB on 19 Nov. 2012), her band Lilly of the West have recruited two new band members for a special western swing project: Lussy Stoynev (fiddle) and Pavlin Malinov (drums). The band is currently working on a new video to the song 'Valentine moon', which will be released on St Valentine's day, 14 February 2013, at the Sofia Live Club. A tour in Ireland is scheduled for 16-20 Jan. 2013; more info is on the band's website. 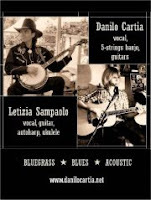 Danilo Cartia (banjo, guitar, vocals) and Letizia Sampaolo (guitar, autoharp, ukulele, vocals) will present bluegrass, blues, and acoustic music in three locations in Rome on three successive days this week. Admission to all three shows is free. Banjo- and guitar-player, singer, and bandleader Danilo Cartia reports that the next Rome Bluegrass Jam will be held on Wednesday 12 December 2012 at the familiar venue - the Cantine Blues, Via della Batteria Nomentana 66/68, Rome, Italy. All are welcome and admission is free! 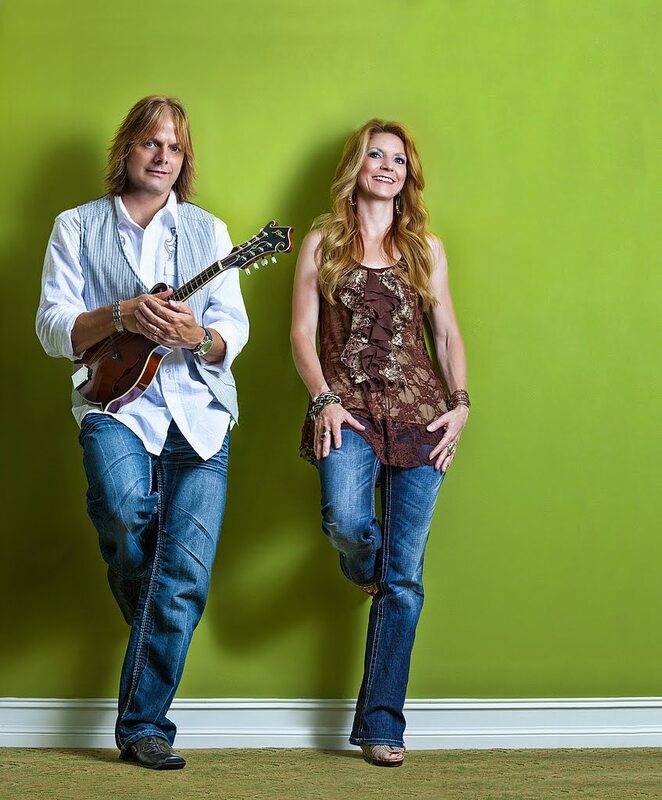 The US Compass Records label is justly proud that its recording artists have had two nominations in the category of 'Best Bluegrass Album' for the 2013 Grammy awards, which will be made on 10 February. As it happens, both the Compass albums nominated are by frequent visitors to Europe: banjo virtuoso Noam Pikelny's Beat the Devil and carry a rail and the Special Consensus's Scratch Gravel Road. 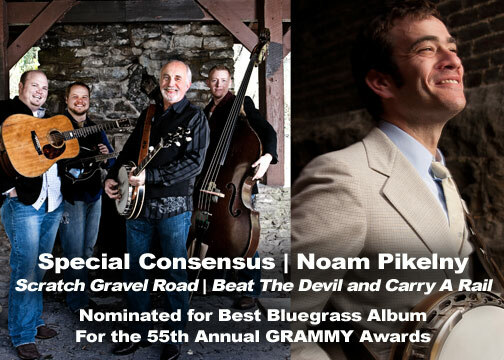 Pikelny was in Europe last month on tour with the Punch Brothers, and the Special Consensus will be touring Ireland and Britain next month. The full release issued by Compass Records can be read here. 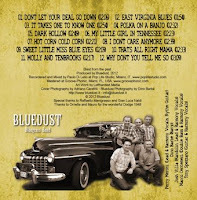 Other nominees for Best Bluegrass Album, together with bluegrass-related nominees for other categories in the 2013 Grammy awards, can be seen on Bluegrass Today. 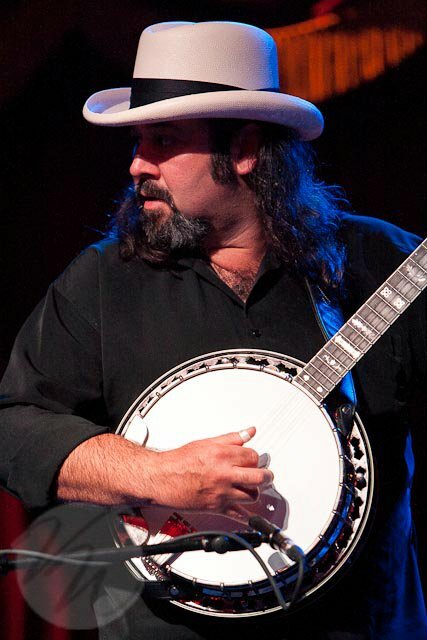 In addition to those mentioned on Bluegrass Today, it can be noted that Leaving Eden by the Carolina Chocolate Drops has been nominated for Best Folk Album, and Old-time Smoky Mountain music: 34 historic songs, ballads, and instrumentals recorded in the Great Smoky Mountains by 'Song Catcher' Joseph S. Hall has been nominated for Best Historical Album. Thanks to Wolfgang Mark of the press office of the city of Bühl, south-west Germany, for the news that a press conference will be held in the Rathaus, Hauptstraße 47, 77815 Bühl, at 11.00 a.m. on Thursday 13 December 2012, to announce the 11th International Bühl Bluegrass Festival. Festival organiser, country music historian, and radio presenter Walter Fuchs, Oberbürgermeister Hubert Schnurr, and Bürgermeister Wolfgang Jokerst will be there to give information about the Festival, which will be held on Saturday 4 May 2013. Media representatives are cordially invited. ... some strange developments are happening in Belgium. Do you know lots of movies in which people like Bill Monroe, J.D. Crowe, and Tony Rice are mentioned ? Well, there is one now. The Broken Circle Breakdown was launched in the Belgian movie theatres and had 270,000 visitors so far. It’s probably going to be this year's best-selling movie (Belgium counts only 11 million people). So far the movie has not been translated to other languages than Flemish, but here’s one of the trailers. The two main actors, along with along with some other musicians (including Bert from Rawhide), are touring the cultural centres right now. The tour is completely sold out. The soundtrack went immediately to number 1 on the pop charts! Of course the two main actors are the most important part for the hype, but also the established bluegrass bands will benefit from this. 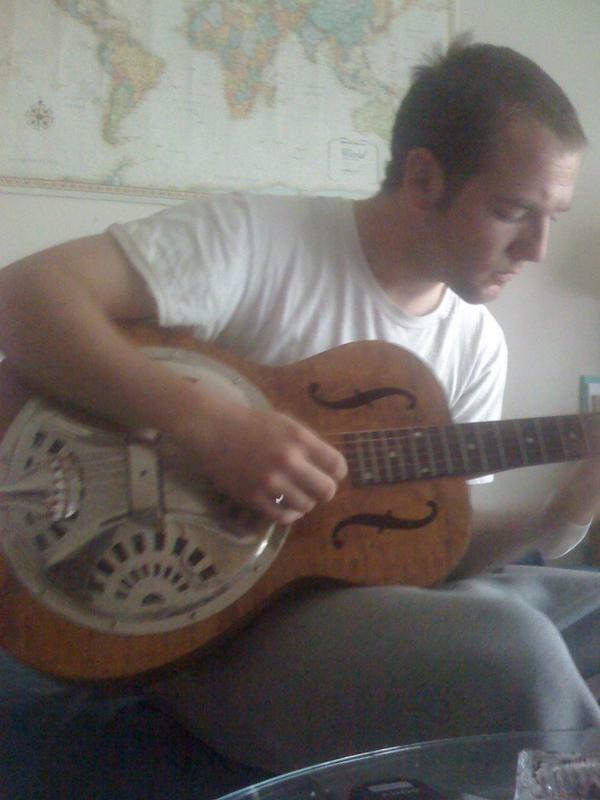 It’s cool to play bluegrass these days. 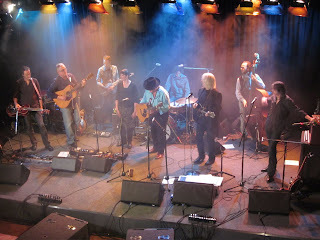 Yesterday Rawhide was interviewed by a youth press agency reporting on bluegrass bands in Belgium.